Summer is right around the corner; make your yard dog friendly! Dog owners around the country prepare for the coming summer break, summer cook outs, family gatherings, holidays, and back yard fun that defines summer as the most fun time of year. With almost half of the homes in this country including a dog with their family unit, knowing ways to help your pooch avoid destructive behavior, dangers like overheating, or toxic plants is becoming paramount. Many times dogs “act out” because they are bored. 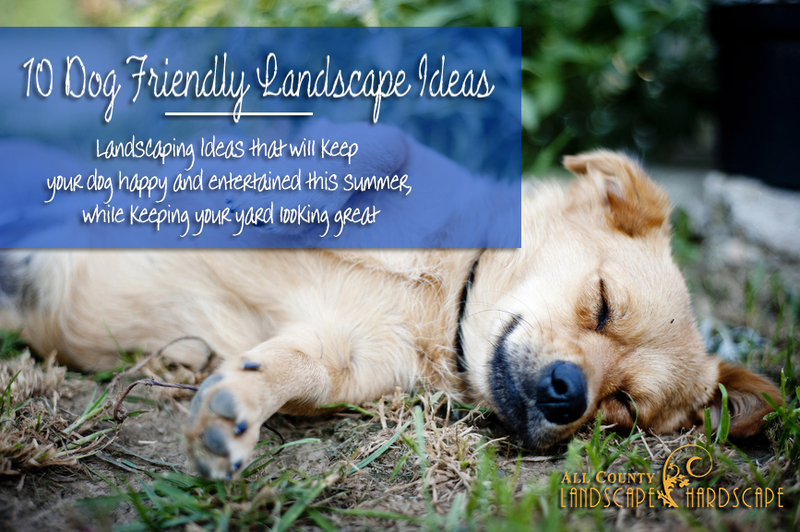 They get into mischief because they need stimulation, and there are some fantastic, dog friendly ideas for your backyard that will look great, and help keep your fur baby entertained, safe, and comfortable for this coming summer season. A great way to make sure your pet has fresh, clean, cool water to help them cool down on those hot summer days is to incorporate some kind of water feature into your yard. 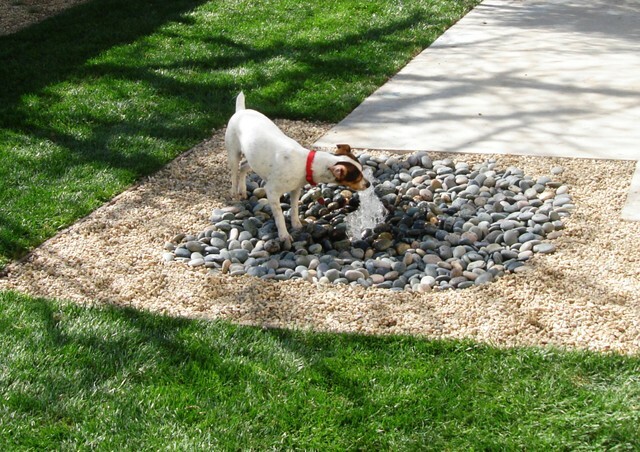 Make it extra dog friendly by incorporating running water into the design! Not only will this type of feature add some relaxing sounds and aesthetic beauty to your yard, it also provides entertainment and much needed relief from the heat and dehydration which can come from a happy dog playing outside. Dogs love water, and choosing an option such as the one above which doesnt have any standing water can be helpful for smaller dogs or dogs you may have concerns about with a larger water feature. Ponds are another good alternative, provided that you provide a slope that extends into the water so that your pet has an easy way in and out of the water. On top of that. with a running water feature you can avoid the expense of fancy dog fountain bowls, and you never have to worry about whether or not you left water for your dog. 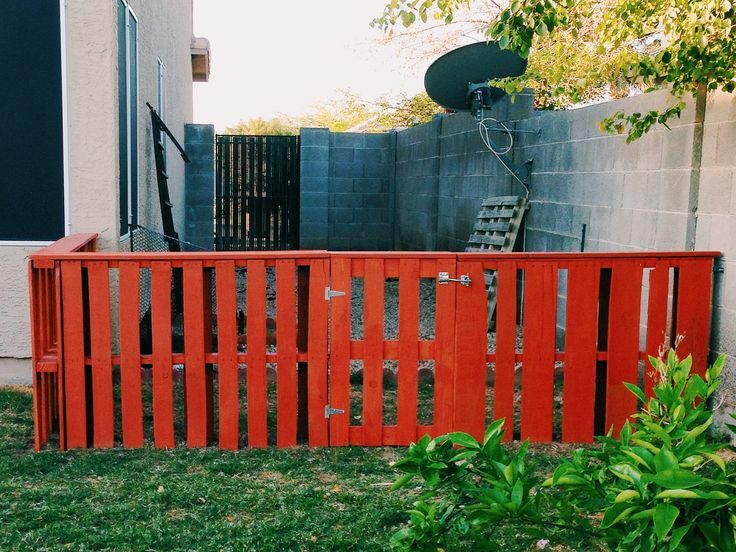 Having a “dog designated” area in your yard is a great option for restricting access when people or children come over that may not be as dog friendly as you are, but no one said it has to be an eyesore! Try ditching the cold, steal, unsightly chain link in favor of wood or vinyl! A picket fence, or horizontal wood plank fence will provide the exact same function while looking like an addition to your yard instead of an imposition. These areas are called “dog runs” and are a sure fire way to make your yard more dog friendly. Just make sure to provide access to shade and cool drinking water/food. If your pet will be spending extended hours outdoors, it is a necessity that you provide a shaded, covered spot where your pet can seek refuge from the burning sun or other elements. If you don’t, you truly risk the safety of your pet; especially if you have a breed which is prone to over heating like pugs or other short snouted dogs. Provide some soft bedding inside, a toy or two and access to cool water and you will protect your pet and protect your yard. (if you don’t provide a cool, shady place, your pet will likely dig one out for themselves). Have fun with it! 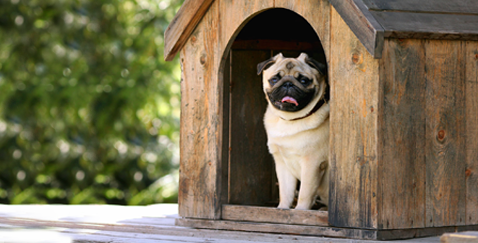 Bright colors, or exterior decorations can help to incorporate the dog house as part of your yard. 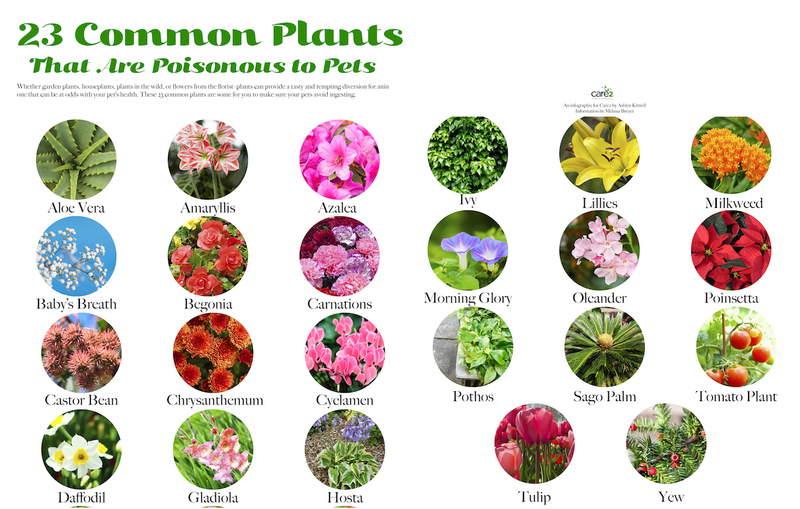 There are many common plants that are deadly to dogs. Avoid these plants, as well as baits for snails and other pests and keep your yard dog friendly. Additionally avoid coconut mulch. There is an additive in that type of mulch that is toxic to your four legged friend. Dogs are territorial by nature, and as such, they love to patrol the edges of their territories. Providing pathways for your pooch to be able to move around freely, and patrol their perimeter is a fantastic way to help your puppy get the exercise he/she needs, as well as providing a means of entertainment and comfort to your dog. Try creating pathways with gravel! Easy to install, great for run-off and wont stick in your dog’s fur. Plus, the small stones shouldn’t get too hot for your puppy’s paws, unlike concrete which can burn the bottoms of their little feet depending on the temperature. The more pathways you build, the less grass you have, so the less you have to mow. Its a win-win-win. Not only is this adorable, but it can add a sense of security and comfort for your pet, as well as providing them with mental stimulation. Dogs love to look outside! 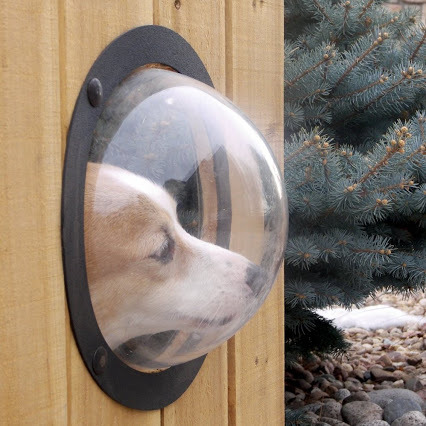 They’re very curious about the world around them, and this option provides the opportunity to express that curiosity without the temptation to try and leave your yard. To save yourself some time in the sun mowing grass, look at alternatives. We all know dog urine kills grass. You can end up with really patchy grass with huge dead are grass that is polka-dotted with dead spots. Astroturf is growing in popularity, and for pet owners it makes cleanup a breeze. Another good, dog friendly alternative is gravel, which is good for run-off. 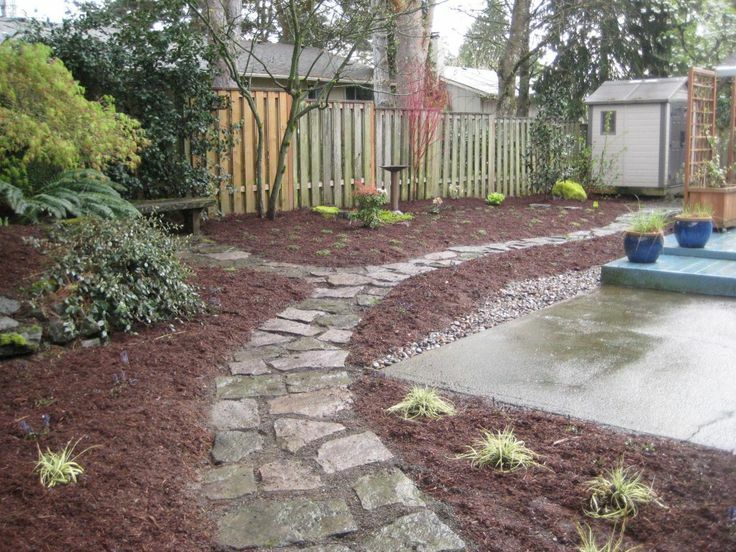 Thirdly, mulch can be a good option. Just make sure that if you use mulch DO NOT USE COCONUT MULCH. Coconut mulch is toxic to your pet! Make sure to check the ingredients and consult with your vet before using any kind of mulch. They will help you the mulch is dog friendly, and safe for your pet. Is your pet a digger? Tired of destroyed flower beds? Worried about digging under the fence? 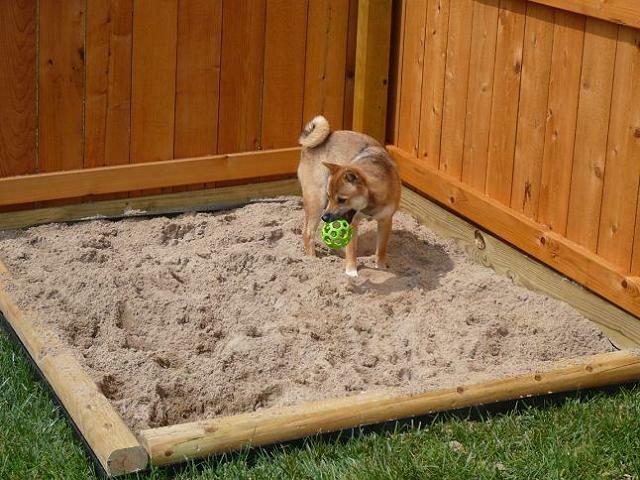 Try adding a sandpit to a corner of your yard. 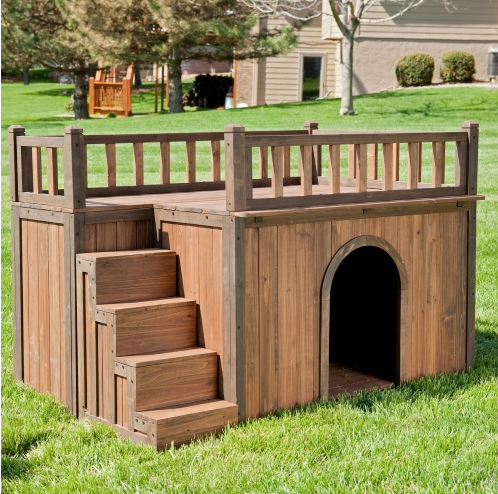 Not only will this provide your pet with a more desireable digging space, it will entertain them and also provide a place for them to act out their natural instincts without getting in trouble. Another aspect of sand pits is heat relief. Dogs often dig down to cooler dirt to lay on when the temperature outside is too much. Keeping slightly damp sand in your yard will save you a lot of frustration and provide your pet with a little something extra to keep them happy. Nature calls- and unfortunately, dog urine kills plants. And who wants to follow their pet around a huge yard hoping to find all of the little surprises they may leave around? Skip the hassle, skip the extended clean up, and avoid accidently stepping in doggie doo; provide your pet with a specified place to do their business. This way, you can control the areas in which they relieve themselves, and avoid pet messes from disrupting your yard, or destroying your grass. Consolidate the mess to one area and your pet will actually be grateful. 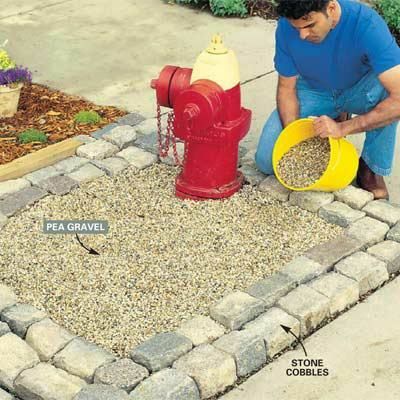 A common method of building a dog friendly potty area is to use pea gravel and surround that area with some type of border. Other pet owners will use astroturf, some opt for patches of specific grasses, but for our purposes, we will go with gravel. How do you attract your pet to use this space? Put in a marking post. You can buy them at basically any big box pet retailer you can imagine. You don’t have to use one that looks like a fire hydrant, any solitary, vertical object should do. Help your pet determine that this is the area they should use by praising them when you see them using the area for its intended purpose. It should come instinctively for your pet, so training shouldn’t be too much work. As we mentioned before, dogs are territorial by nature. Providing them with an area of high ground with which they can survey their backyard kingdom is one of many ways you can enhance your backyard to be a perfect, dog friendly place for your furry friend. Make sure that access to the platform has steps, or a ramp, or some other easy way for your pet to get on or off the structure. Over time, dogs can really injure their backs, joints, knees and everything else by jumping from higher places. 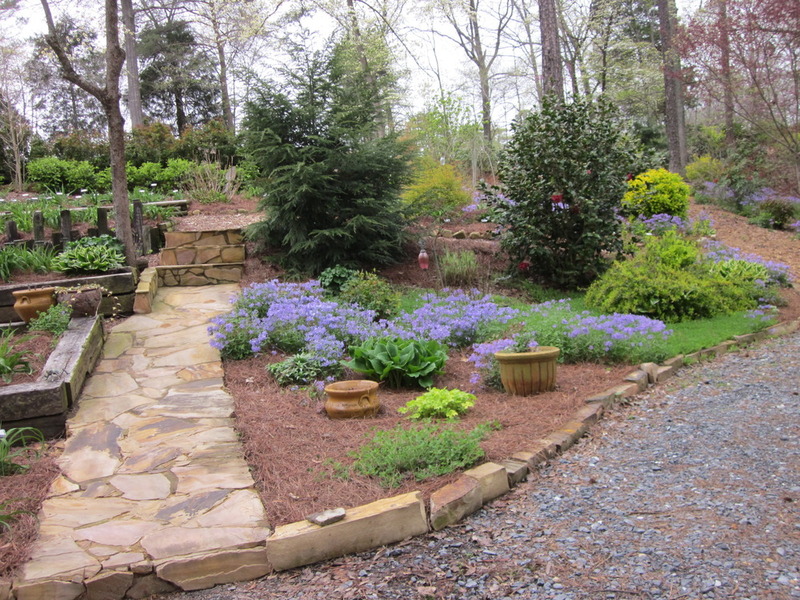 Some fantastic options to create the perfect, dog-friendly landscape for your pet this summer. It doesn’t matter how big, or small your yard is; any size yard can benefit from the addition of one or more of these ideas.